Sunday 22nd November saw the running of the 31st City of Norwich Half Marathon. The event has in recent years has given runners some very difficult weather conditions to tackle and this year was no different. 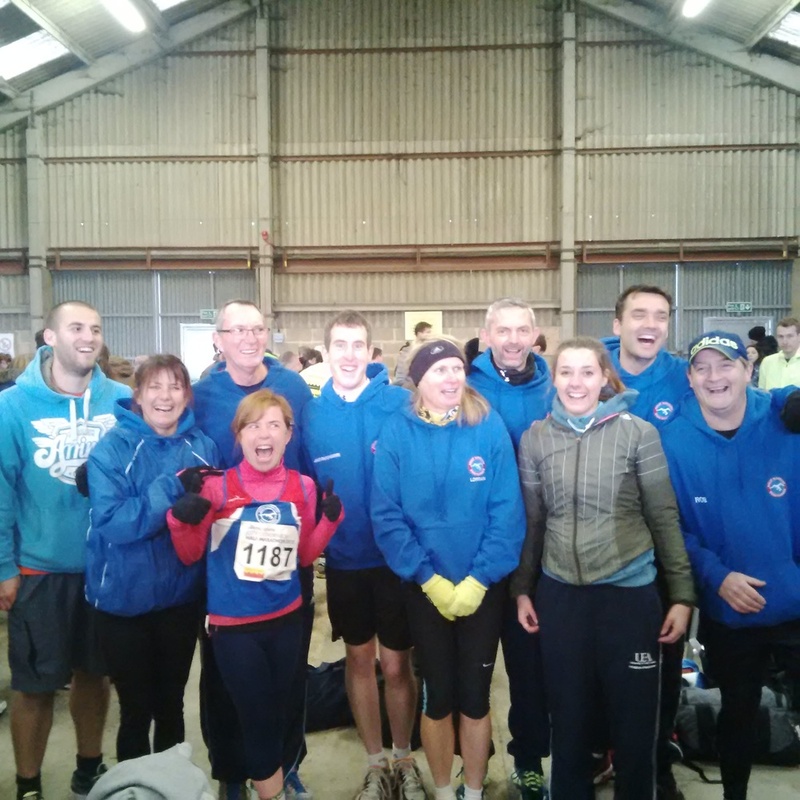 Rain, sleet and snow greeted the runners as they arrived at the Norfolk Showground. Fortunately the heavy winds of the previous few days had subsided. Despite the weather over 2300 runners took part in the race, with an exceptional turnout of supporters along the route. 24 Great Yarmouth Road Runners were among the finishers and there were a number of PB times set. However due to a fault in the chip timing system on the start line a number of chip times were not recorded correctly. Andrew Manning finished first for the Road Runners finishing in 103rd place overall closely followed by Marc Evans. Special mention for Lisa Smith and her guide runner Dave Silk who finished in 2 hrs 6 mins singing Elvis songs along the way to forget about the conditions. Also a special thank you to all the marshals on the route who stood in the horrible conditions for hours to make sure all the runners were looked after. The GYRR provisional finish times are in the pics above. With many of his fellow club mates taking part in the Norwich Half Marathon last Sunday it was up to Simon Bekker to fly the flag for Great Yarmouth Road Runners at a very well organised Adnams Southwold 10K. There had been genuine concern amongst the organising team that the event might not have gone ahead due to extreme weather but thankfully for them and the 750+ participants, the Harbour Master gave the all-clear for the race to go-ahead. With many of the local population about town in support of the race there was plenty of encouragement for the runners as they made their way around the route which included a majestic uphill sprint to the finish. Simon acquitted himself well on the day, finishing in 34th place in a time of 40:52. The eventual winner of the Men's and Women's races were Dominic Oliver, repeating his success of the previous year in 33:59 and Laura Thomas in 38:47 respectively.